Just three weeks out from his crossroads bout against leading contender Dillian Whyte 23-1 (17) former WBO heavyweight champion Joseph Parker 24-1 (18) is hitting his stride in sparring against former world title challenger Eric Molina 26-5 (19). The 26-year-old Kiwi is deep in camp in Las Vegas, Nevada with trainer Kevin Barry who is putting the finishing touches on their preparation for the fight that will take place at London’s O2 Arena on July 28. The fight will be broadcast live on Sky Sports Box Office. Molina, who was stopped in three by unified world heavyweight champion Anthony Joshua eighteen months, has been brought in to camp to mimic Whyte’s movements in the ring. In his last outing the 30-year-old Whyte scored an impressive one-punch knockout of out-of-shape Australian Lucas Browne, stopping him cold in the sixth round of their 12-round contest in March. Barry is anticipating a similarly aggressive approach from the Brixton “Body Snatcher” when he clashes with Parker later this month. Parker agrees that Whyte is a risky opponent but believes he will be able to get in sufficient work in his seven week camp to be in top shape on fight night. 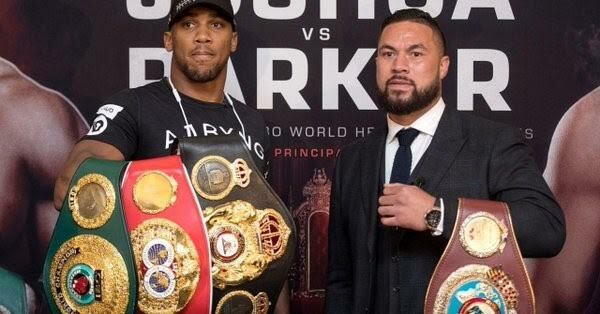 “Very dangerous, but we’re doing everything that we can to prepare well and we know that going into the fight, we’re going to be in the best shape,” said Parker, whose last fight as a 12-round decision loss to Joshua in a unification bout for the WBA, IBF and WBO world titles in March.